Loose leaf green teas, raw pu erh & organic options. 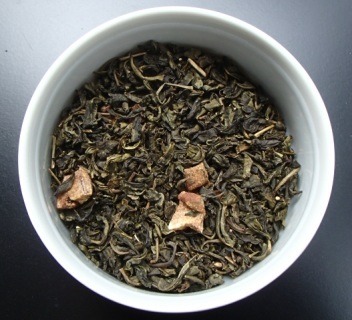 Organic green tea with natural pear flavor and organic dried pear. 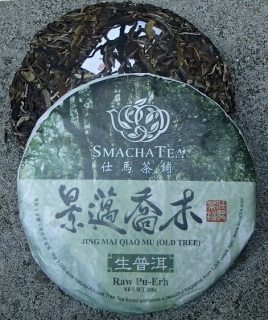 If you like fresh, juicy pears...you'll LOVE this tea. Fill your senses with this smooth, refreshing and delicious sophisticated cuppa. It's mouth-wateringly yummy hot....and even more amazing iced! 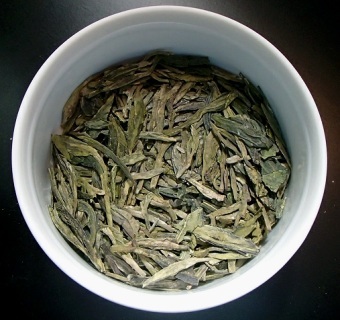 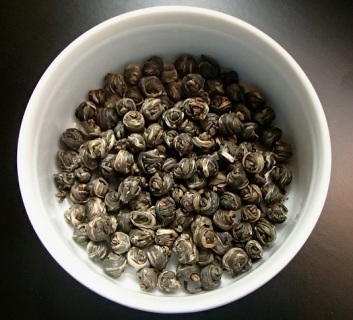 Our organic Huangshan Mao Feng green tea is grown at 3,000 feet in the Gengxiang Tea Garden of Jiangsu Province. 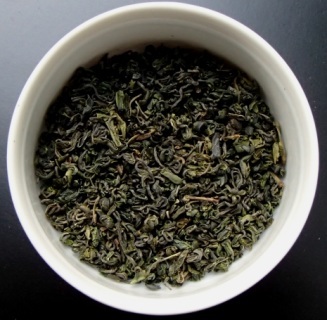 The long, delicate leaves of this local Jiu Keng tea plant turn dark jade green when they are quickly fired after plucking and give a deep flavory, highly refreshing and aromatic infusion with a lingering sweetness and a hint of astringency. 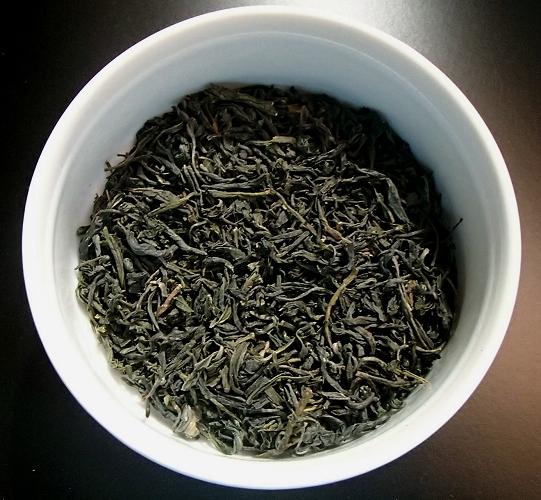 Grown in the Ping Shui region of China in Zhejiang Province, Ri Zhu is a high grade, small leaf green tea grown at 900 feet on the Yu Cha Cun Tea Farm where these rare leaves are plucked in early spring. 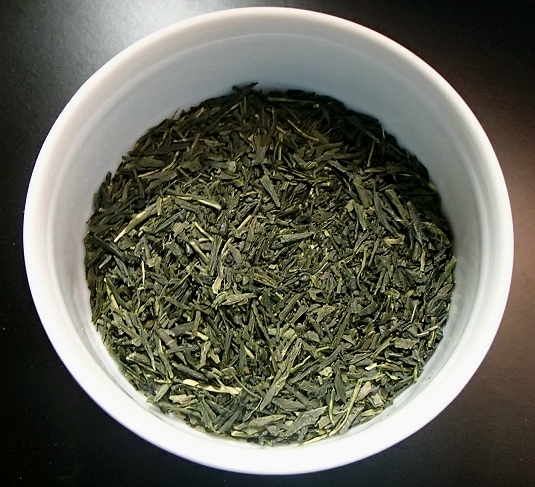 They are gently steamed then pan fired and produce a rolled and very dark green tea. 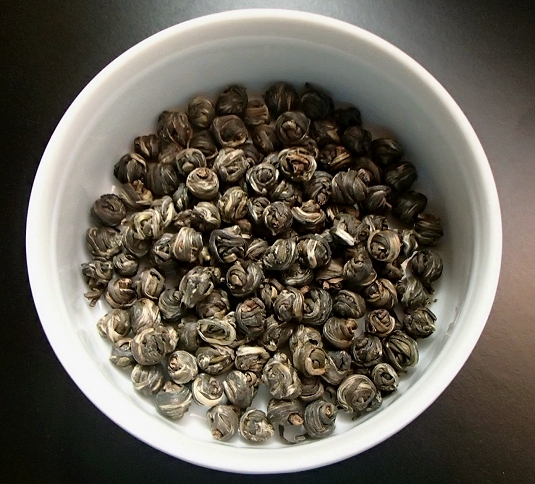 Somewhat reminiscent of a gunpowder, the infusion is lightly sweet with a fresh spring flavor and hints of vegetal with slight astringency. 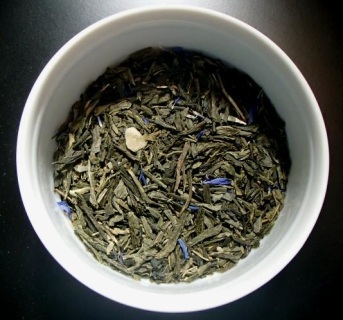 This tea is perfect for many infusions.